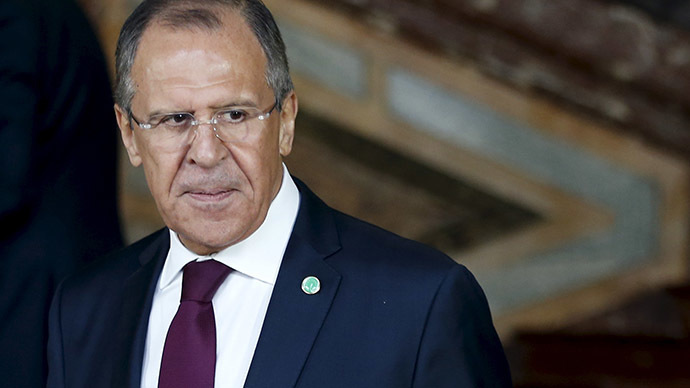 Washington sees the need to build bridges with Moscow and end the unsuccessful period of US-Russia relations that benefits no one, Russian FM Sergey Lavrov said in an interview with Rossiya 24 TV channel. “Honestly speaking, the US Secretary of State John Kerry’s visit to Sochi, probably de-facto showed Washington’s understanding that our countries should eventually build bridges and end this unsuccessful period in our relations, which benefits neither us nor the Americans, nor the rest of the world,” said Lavrov. Kerry met for high level talks with President Vladimir Putin and Lavrov at the Russian Black sea resort city on May 12 marking the first visit by a senior US official to Russia since the Ukrainian conflict broke out in 2014. In an interview with Russian media on Friday, Lavrov said that he cannot agree with the frequent comparisons of current Russian-US relations to those which were between the two countries during the Cold War era. Lavrov said that Moscow does not prioritize US-Russian relations, because of the US policy of control. Lavrov placed emphasis upon the Islamic state militants who have seized vast territories in Syria and Iraq, while their supporters have retained locations in certain regions in Libya, Afghanistan. There have been confrontations between IS militants and government forces on the Syrian-Lebanese border. He added that in Yemen only Al-Qaeda - the rival of the IS militants - benefited from the airstrikes. The US has been conducting airstrikes in Iraq since August 2014 under Iraqi government’s consent. The airstrikes against IS in Syria ongoing since September 2014 have been carried out without approval from the legitimate Syrian government, which is a “flagrant violation of international law”, Lavrov said. “Such double standards have been always characteristic for Americans,” he added. The Minsk deal stated that there should be consultations between Kiev and Donetsk and Lugansk authorities to prepare for local elections which are to be held under the Ukrainian law. “However such consultation have not been launched,” Lavrov pointed out. He added that Kiev’s demands for the Organization of Security and Co-operation in Europe monitors to go to Donetsk and Lugansk regions and “explain how these elections should be held.” The Minsk deal didn’t include this, he stated. Under the Minsk packages the economic blockade of eastern Ukrainian regions must be ended, social payments reinstated, the banking system restored, Lavrov said adding that none of that has been done by Kiev. The third point of the Minsk deal that has not been fulfilled by Kiev is amnesty for those who took part in the conflict in eastern Ukraine, he said. In addition, self-rule for Donbass was one of the key conditions of the Minsk agreements, however the law passed by the Rada in March postpones the introduction of the new status until the regions hold new elections under Ukrainian laws. Until then the two republics will be recognized as ‘temporary occupied territories’ and voted that the status should remain until the Ukrainian military fully restores control. “This is a flagrant violation of the Minsk agreements by Kiev,” Lavrov said. Based on Kiev’s stance Lavrov said he hardly believes Ukraine will be able to fulfill all Minsk agreements.